Ringgit this morning was quoted at 4.0360/0430 against the USD.Pix by ZULFADHLI ZULKIFLI. 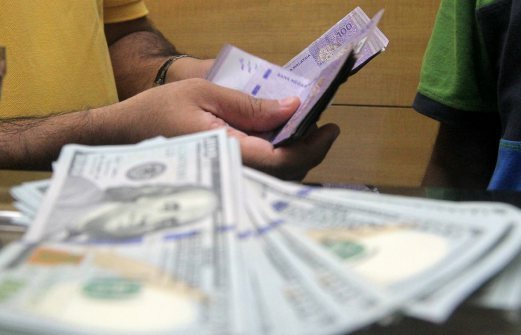 KUALA LUMPUR: The ringgit opened lower against the US dollar Friday as foreign banks continued to offload the local note, a currency trader said. At 9.20 am, the ringgit was quoted at 4.0360/0430 against the greenback from 4.0080/0130 at 5pm yesterday. "After taking a breather with a mild rebound against the US dollar yesterday, ringgit continued to be pressured. "External factors such as reaction to devaluation of the yuan will continue to play a major role in determining the direction of Asian currencies, including the ringgit," a dealer said. Asian currencies weakened against the greenback following the surprise change in China's foreign exchange policy recently, to devaluate the tightly-controlled yuan. The ringgit also traded lower against a basket of major currencies. It depreciated further against the Singapore dollar to 2.8882/8939 from 2.8725/8765 on Thursday and traded lower against the yen at 3.2420/2482 from 3.2172/2215.